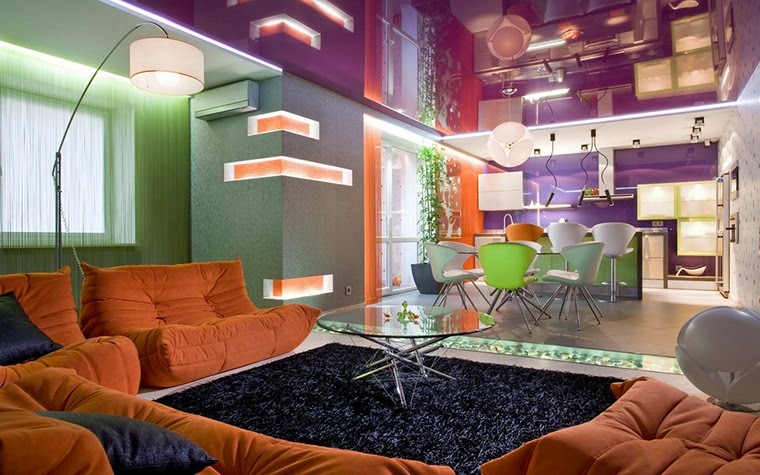 If you want to make your interior bright as the modern living room design below, you can use special color combinations, such as red and green or purple and orange. These color pairs are called complementary colors. When they are used in a single composition, their color intensity increases dramatically. 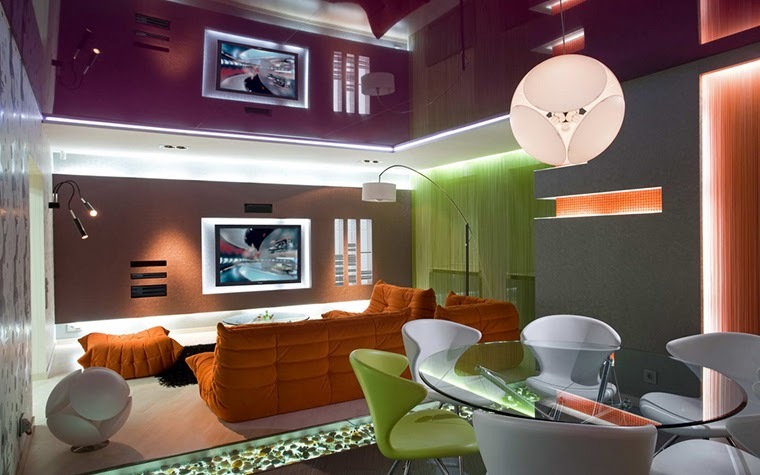 As in this modern living room design!